What's Skow-ing on in 4th Grade?? : Geome-TREE!! 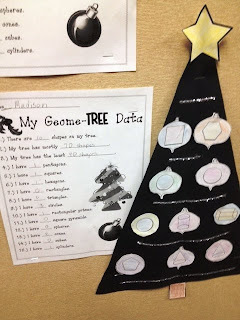 We finally squeezed in a fun Christmas activity with math. 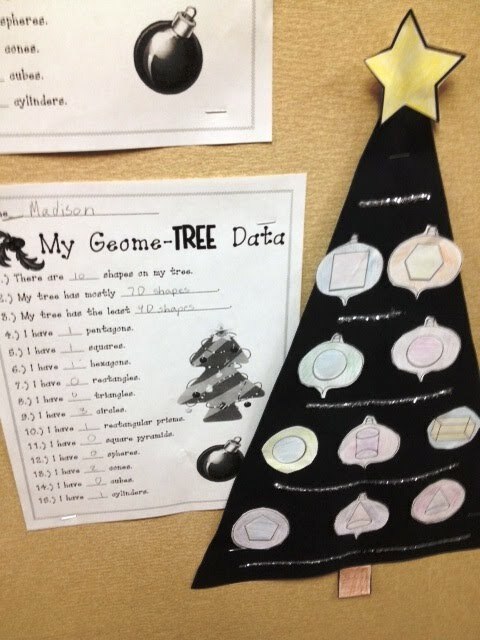 To practice identifying 2D and 3D shapes and evaluating data, we completed Laura Davis' Mathtivity called Geome-TREE found on TpT. 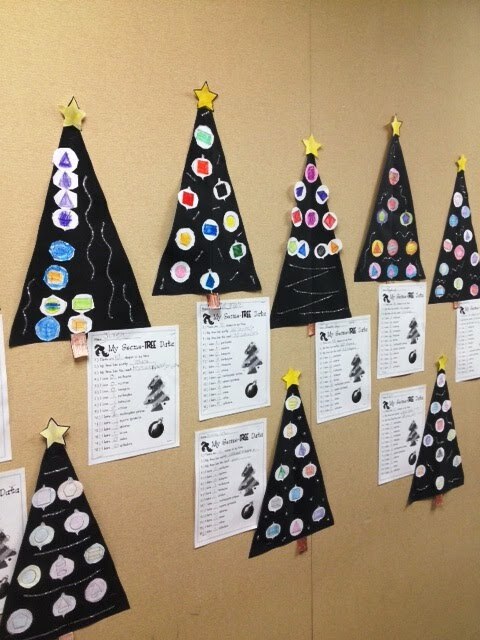 The students constructed a Christmas tree decorated with different ornaments with shapes and figures in them. We cut, colored, glittered and hung. They are too cute. The activity is geared towards primary students so I created our own data sheet more adaptable to 4th grade. Now they are hanging in our pod and I look forward to doing this activity with my students each year! P.S. 5 more school days until Christmas Break!!! Hello! I am your newest follower and am also a 4th grade teacher! I am excited to check out your blog!